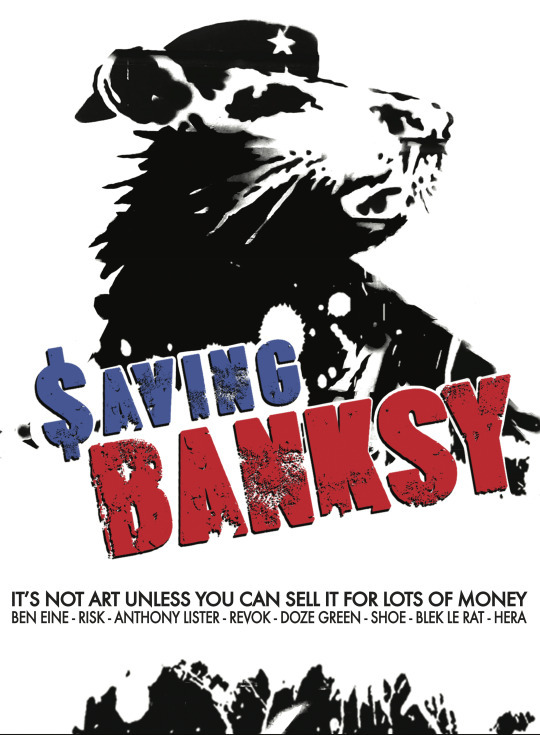 Actually the film focuses on a great many things while using the Banksy story as the linking device. 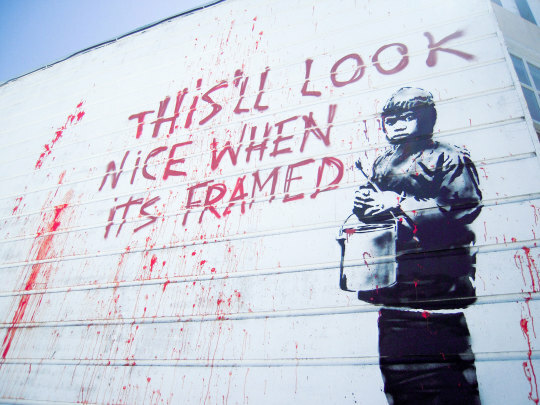 SAVING BANKSY isn't about saving Banksy's art but all street art. The question is should it be saved- it's not really meant to exist out side of the place it was put. Additionally why are various art dealers making millions of the various works of art that have been cut away from their location while the artists get nothing. There are lots of interesting questions here and all of them deserve lots of discussion. This film works for several reasons that the film has assembled a killer group of artists (Ben Eine, Risk, Revok, Niels 'Shoe' Meulman, Blek Le Rat, Anthony Lister, Doze Green, Hera and Glen E Friedman) to talk about the problems. These talking heads beautifully put all of the questions into context and make you realize that its not simply a matter of paint over it or that the artists have no rights. And on top of it all there is all of the art- stunning pieces not only by Banksy but all of the other artists in the film.